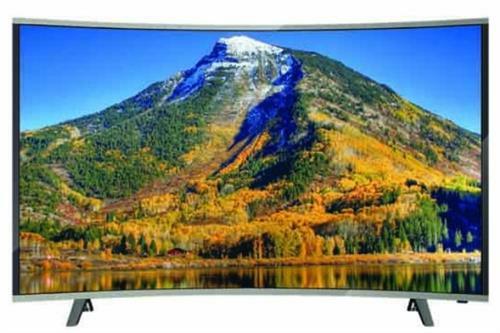 The JVC LT-32N376 32" High Definition Ready Curved TV is a stylish and beautifully curved freestanding 32 inch display with 1,366 x 768 Resolution, As expected for an HDTV with 1366 x 768 resolution it displays content very well and comes complete with HDMI, USB, component and AV connectors. 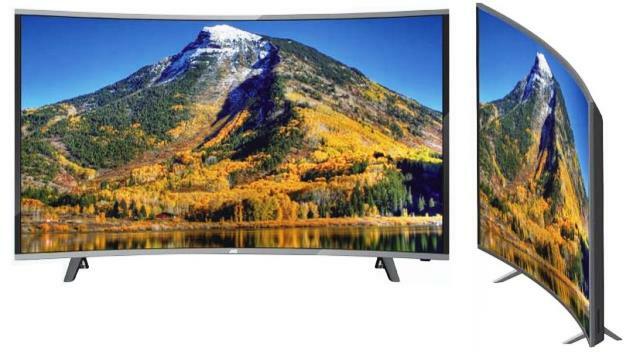 It features a brightness of 200 cd/m2 and can be connected directly to your computer. 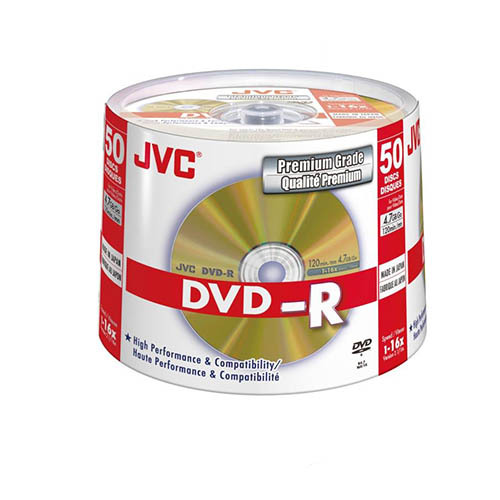 The JVC PrinQ DVD-R 16 x High Speed; 50 pack high performance Printable Discs offer 4.7GB or 120 minutes of write-once storage capacity, superior recording quality, and compatibility with 1X to 16X DVD-R writers, JVC 16X DVD-R discs allows users to record a complete 4.7GB/120Min disc in approximately 7-8 minutes. 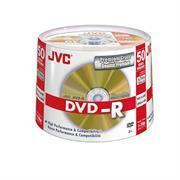 Recognized as the choice of professional users, JVC DVD-R offers the highest level of read/write performance, reliability, and archival life. 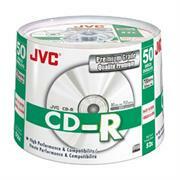 These discs are compatible with Pioneer, Apple, Sony, Panasonic and other leading drive. 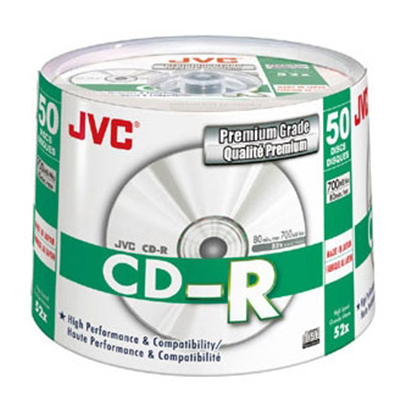 The disc features a white inkjet printable surface qualified for high-resolution photo quality disc printing. The disc consist of a unique white surface coating for exceptional colour reproduction of high-resolution images and a dedicated inkjet printable surface for excellent ink absorption.